Balaclava looking seawards, the Commandant's house in the foreground. 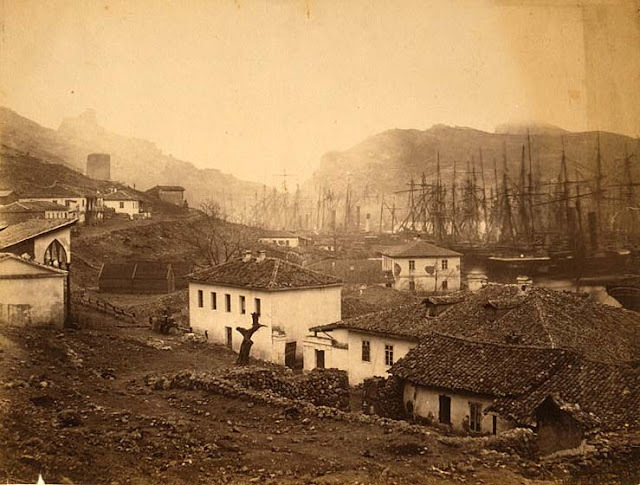 The area around Balaclava in the Crimean War. Showing a general view of the landscape and buildings with the Commandant's house in the foreground, behind which, to the right, is the ordnance wharf and the harbor with a line of ships receding to the middle distance, and in the upper left corner, the remains of the old Genoese castle perched on the hills that line the harbor. 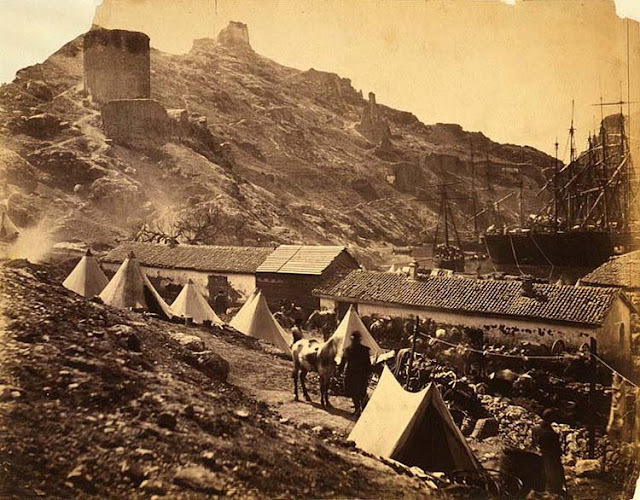 The old Genoese Castle at Balaklava, from above the Cattle Pier. In the 13th century, the Republic of Genoa seized the settlements which their rivals, the Venetians, had built along the Crimean coast and established themselves at Cembalo, Soldaia, Cherco and Caffa, gaining control of the Crimean economy and of Black Sea commerce for two centuries. Photo's by Roger Fenton, 1855.